Mensusa https://www.mensusa.com/articles/pastor-robes-ravishing-apparels-for-the-church-hours.html Pastor Robes- The Most Ravishing Apparels For The Church Hours The pastor robes are the most elegant and classy apparels for the church hours. You need to buy the robes, considering the quality of the fabric, the design, and the shade. The pastor robes are the apparels for the preachers and the ministers of the church. This is the apparel that uses to serve as the uniform of these men and separates them from the other men revolving around them. These apparels always feature gravity, elegance and most importantly it speaks fashion on very strong notes. The article will discuss the point that you need to consider while buying the preacher's robe. In the instances of buying the pastor robes, the first consideration should be on the point of the fabric. It is the quality of the fabric that primarily determines its quality and the extent to which the apparel would offer comfort. As the church apparel, it is important that the apparel appears elegant and it should be comfortable enough so that you can carry the apparels conveniently. A minister in the Church needs to look confident and to ensure it happen, you need to dress in the apparels that offer you the optimum comfort. You can opt for the robes fabricated with polyester, silk, cotton as well as other smooth and soft fabric. The perfect selection will obviously accentuate your look in a gracious and ravishing style. The pastor robe is not the apparel to be the canvas of your wild imagination. 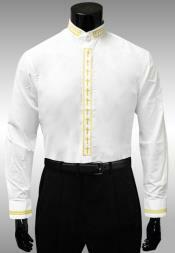 These are the most formal apparels and hence, you should pick the design and color that features elegance, sophistication, and gravity. 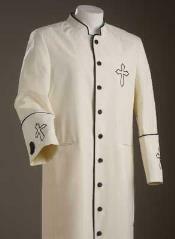 The design of the pastor robes traditionally features the solid style and it most comes in single shades. In contemporary times, the colorful robe is also used, but you have to ensure that the color you choose is complementing your skin tone and ideally, you should opt for those colors that are soft in its appearance. Where to get the fashionable robes at an affordable price? To get the fashionable robes at an inexpensive price, you need to knock the top online fashion retails. These outlets would have a portfolio of the robes that are fabricated with quality materials, features a classy look and comes for an affordable price. However, you have to take the responsibility of choosing the perfectly fitted, quality fabricated and suitable shade of the robe to get a classy and elegant appearance for the church hours. Once you display those minimal responsibilities, you can be assured that your appearance will impact and impress people so that you preaching penetrates deeper into their hearts. www.mensusa.com offers the most coveted fashion products from the top international brands at the most competitive price. The shop delights the buyers by offering exceptional customer services, both at the pre-sales and post-sales phases. Hence, dealing with this store, you will obviously enjoy the shopping session.